To claim this profile, please confirm you are Destinee Noury. To follow this profile, please let us know your relationship to Destinee Noury. Destinee's softball stats have been updated for the win vs. Torrey Pines. RESULTWin Varsity softball vs. Torrey Pines. The Mater Dei Catholic varsity softball team won Saturday's neutral tournament game against Torrey Pines (San Diego, CA) by a score of 7-6. Destinee's softball stats have been updated for the win vs. Grossmont. RESULTWin Varsity softball vs. Grossmont. The Mater Dei Catholic varsity softball team won Saturday's neutral tournament game against Grossmont (El Cajon, CA) by a score of 10-5. Destinee's softball stats have been updated for the win vs. Bonita Vista. RESULTWin Varsity softball vs. Bonita Vista. The Mater Dei Catholic varsity softball team won Friday's home conference game against Bonita Vista (Chula Vista, CA) by a score of 2-1. Destinee's softball stats have been updated for the win vs. Hilltop. RESULTWin Varsity softball vs. Hilltop. The Mater Dei Catholic varsity softball team won Wednesday's home conference game against Hilltop (Chula Vista, CA) by a score of 8-1. Destinee's softball stats have been updated for the win vs. Rancho Buena Vista. RESULTWin Varsity softball vs. Rancho Buena Vista. The Mater Dei Catholic varsity softball team won Tuesday's neutral tournament game against Rancho Buena Vista (Vista, CA) by a score of 10-2. RESULTWin Varsity softball @ Steele Canyon. 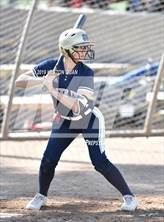 The Mater Dei Catholic varsity softball team won Saturday's away tournament game against Steele Canyon (Spring Valley, CA) by a score of 5-0. RESULTWin Varsity softball @ Otay Ranch. The Mater Dei Catholic varsity softball team won Friday's away conference game against Otay Ranch (Chula Vista, CA) by a score of 9-1. Destinee's softball stats have been updated for the win vs. Olympian. RESULTWin Varsity softball vs. Olympian. The Mater Dei Catholic varsity softball team won Wednesday's home conference game against Olympian (Chula Vista, CA) by a score of 11-0. Destinee had 1 photo tagged from the game against Murrieta Mesa. Destinee's softball stats have been updated for the loss vs. Murrieta Mesa. RESULTLoss Varsity softball vs. Murrieta Mesa. The Mater Dei Catholic varsity softball team lost Saturday's neutral tournament game against Murrieta Mesa (Murrieta, CA) by a score of 6-4. Destinee's softball stats have been updated for the win vs. Huntington Beach. RESULTWin Varsity softball vs. Huntington Beach. The Mater Dei Catholic varsity softball team won Saturday's neutral tournament game against Huntington Beach (CA) by a score of 14-5.